Glanders, also known as farcy, is a zoonotic disease caused by the bacterium Burkholderia mallei. 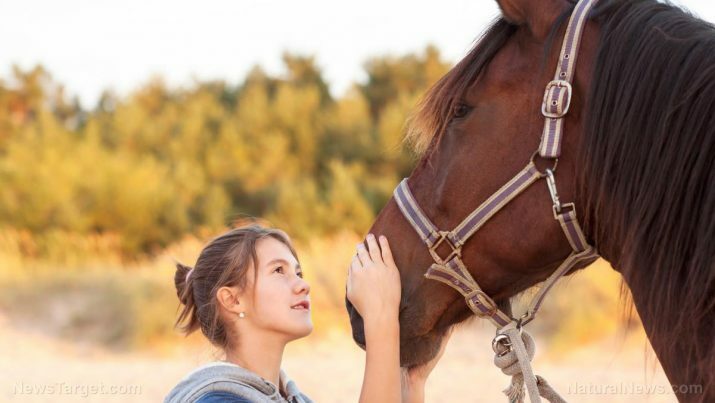 This infectious disease primarily affects horses, donkeys, and mules, but has been known to occur in other animals such as dogs, goats, and cats. Humans can contract glanders as well, though these are rare. Animals typically acquire glanders by ingesting contaminated food or water. From here, transmission to humans can happen through several means. Coming into contact with the tissues or fluids of a diseased animal presents this risk, especially if the person has any cuts or abrasions on their skin. Inhaling dust or aerosols tainted can lead to glanders as well since B. mallei can enter the human body through the nose and eyes. As such, people who are involved in the care or handling of horses are at high risk of contracting glanders. These include veterinarians, horse caretakers, horse butchers, and slaughterhouse workers. The practice of killing diseased horses and disinfecting their living quarters has made glanders increasingly rare in the U.S., Canada, and Britain. Despite this, glanders has been reported in Africa, Asia, the Middle East, and South America. Localized infection: When infection occurs via the mucous membranes of the eyes, nose, or respiratory tract, glanders will increase the mucus production at these sites. The lymph nodes can be harmed too. Pulmonary infection: There are cases where glanders manifests as a pulmonary infection, leading to complications of the respiratory system. The affected person is at risk of pulmonary abscesses, pneumonia, and pulmonary effusions. Abscesses may appear on the skin too. Bloodstream infection: The absence of treatment during glanders bloodstream infection can make the affected person susceptible to septicemia or blood poisoning. This condition is distinguished by high temperatures, extreme exhaustion, pale and clammy skin, rapid and shallow breathing, and faintness. The severity of septicemia is such that it has a 90-percent fatality rate. Chronic infection: This form of glanders involves the formation of multiple abscesses across various body parts. The lungs, spleen, and liver can become the sites of these abscesses, as can the muscles and skin of the arms and legs. Garlic: This vegetable is renowned as one of the premier immune-boosting foods. That particular reputation of garlic can be attributed to its weighty concentration of allicin and other sulfur-containing compounds. Ginger: The benefits of ginger are many, ranging from decreasing inflammation to soothing nausea to reducing chronic pain. Lemon: Thanks to its high vitamin C content, lemon is an excellent addition to any diet. Note that the human body is unable to store or produce vitamin C, making it all the more important to consume lemons every day. Honey: The live enzymes in honey are known to kill germs and foreign pathogens. In fact, honey is a noted natural antibacterial and has been utilized as such by many civilizations throughout the centuries. Turmeric: Just like honey, turmeric is known for being a potent antibacterial food. One thing to remember about turmeric is that its primary compound, curcumin, is poorly absorbed by the body, meaning that taking turmeric on its own will have no effect. This can be circumvented through black pepper, which boosts the absorption rate of bioavailability of curcumin. Apart from these, prevention is the best step. This is done by identifying and eliminating animal carriers of glanders. In healthcare settings, glanders can be avoided by wearing the appropriate protective gear (e.g. gloves, long gowns, and protective eyewear) when handling bodily fluids such as blood. Glanders is a contagious bacterial disease that primarily occurs in horses, donkeys, and mules, though it can be transmitted to humans as well. General symptoms of glanders include muscle aches, headaches, and fever; other symptoms will depend on the type of infection. Because there is no vaccine, glanders is usually treated through the administration of antibiotics, while prevention is accomplished mostly by identifying and culling the animal population from which glanders originated.